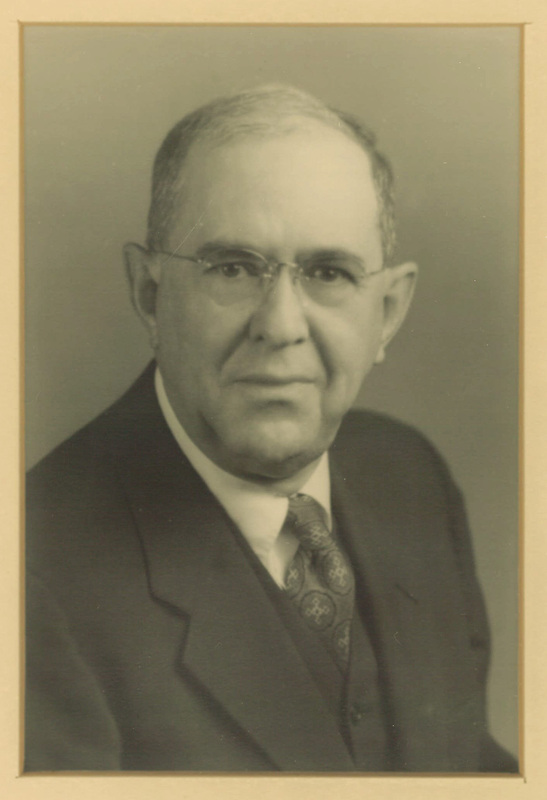 Preston H. Epps (1888-1982) was born on the border of Virginia and North Carolina in an area then known as the High Plains of the Sappony Indians. In 1889 the family moved to Johnston County, NC, and then in late 1900 to Durham, where he went to work to help support his family. Apart from six months of school when he was 12, he had no formal education until he was 21, when he persuaded the superintendent of the Durham school system to let him enroll in 7th grade; he graduated from Durham High School three years later. Epps began teaching in the Department of Classics at UNC-Chapel Hill in 1915 as a graduate student and received his MA in English in 1917. He taught at Boys High School in Atlanta (1916-1928), and earned his PhD from the University of Chicago in 1928. After ten years on the faculty at Furman University, he returned to UNC in 1938; he was named Kenan Professor of Greek in 1955 and retired in 1961. He was an engaging teacher and had a significant impact on his students, many of whom continued to remember him with affection and respect for years afterwards. He published a translation of Aristotle’s Poetics (1942) and a revised edition of Howe and Harrer’s Greek Literature in Translation (1948). After his retirement he published a translation of the Odyssey (1965) and Thoughts from the Greeks (1970), in which he distilled the insights into Greek literature and culture that he had developed over the course of his long career. He and his wife continued to be presiding geniuses of the department until his death. For a more detail account, see here. The Epps Memorial Scholarship Fund was established in 1983 by a bequest from Professor Epps for the promotion and study of the Greek language, history, and literature, and in particular to make awards to those students whom the Department’s faculty judge to show the greatest interest and promise in coming to understand the Greek language, literature, history and outlook. Professor Epps hoped that recipients of the Epps Prize would continue to promote the value of studying ancient Greek civilization beyond the bounds of Murphey Hall. Starting in 2018, we have awarded two Epps Prizes annually, one to an undergraduate and one to a graduate student. For current and former winners of the Epps Prize, see here. Please consider making a gift online to the Preston H. and Miriam L. Epps Memorial Scholarship Fund (101155).